Whilst it might not be clear where Wayne Rooney will be plying his trade next season, one thing that is certain is he will be doing it in the Nike Hypervenom Phantom. 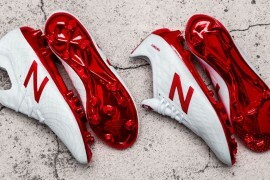 The England international gave Nike’s ‘new breed of attack’ the dream start to its life on the pitch with a memorable strike against Brasil at the Maracana. 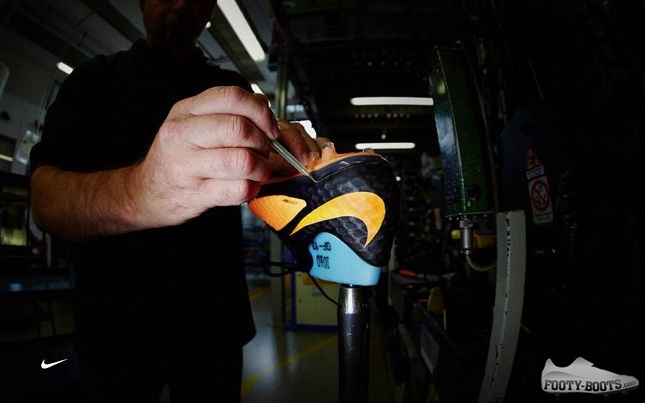 To mark the retail launch of the Hypervenom range in the UK, Nike have assembled some pretty neat photos of how each boot goes through production at their Italian player-issue factory in Montebelluna. 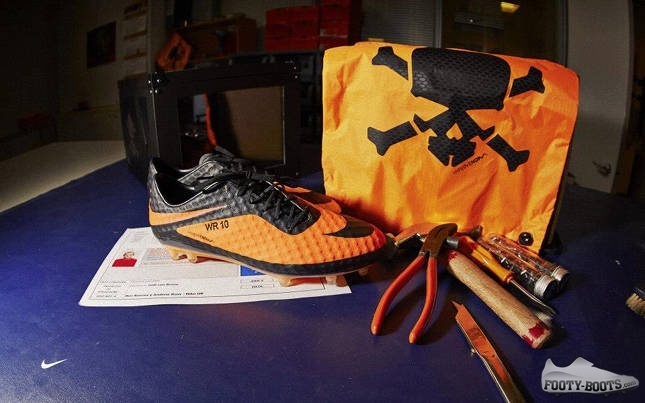 Ever wondered what goes into a pro player like Rooney’s cleats? Find out, here. 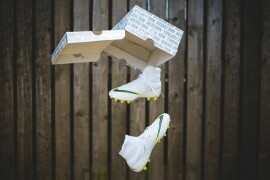 The uppers are mostly made in standard sizing – here, each boot is wrapped around a ‘last’. These are moulds taken of each player’s foot (Montebelluna has bookcases full of each of their sponsored athlete’s lasts) for a perfect fit. 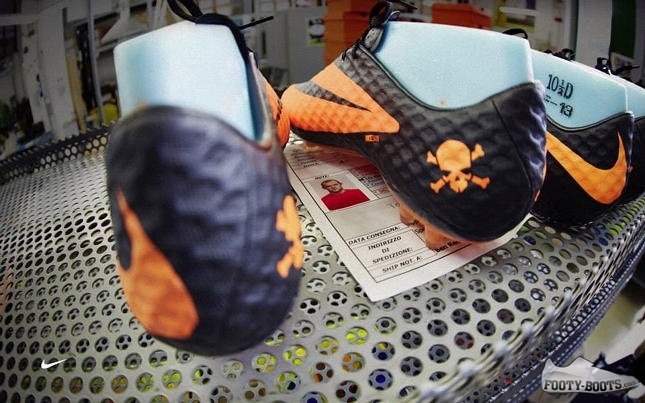 Here and above, the Hypervenom Phantom is being heated from different angles to mould the upper to the last. 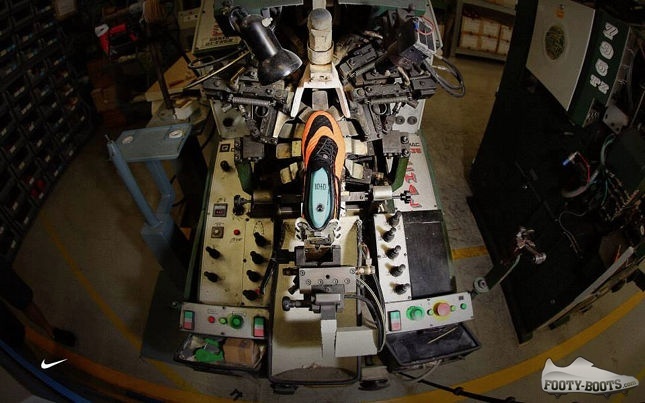 After that, the moulded boot – still on the last – is stitched and glued onto the soleplate by hand. 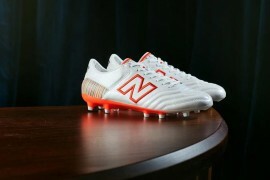 Here, Nike can monitor durability and accommodate requests from players for particular stud patterns and the like. 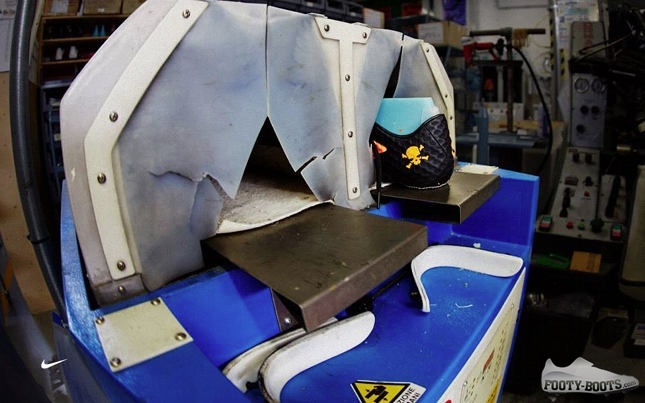 To set the glue and stop the boot shaping in any unwanted ways, each boot is chilled to -15‹ĹˇC on this conveyor belt, completing the process. 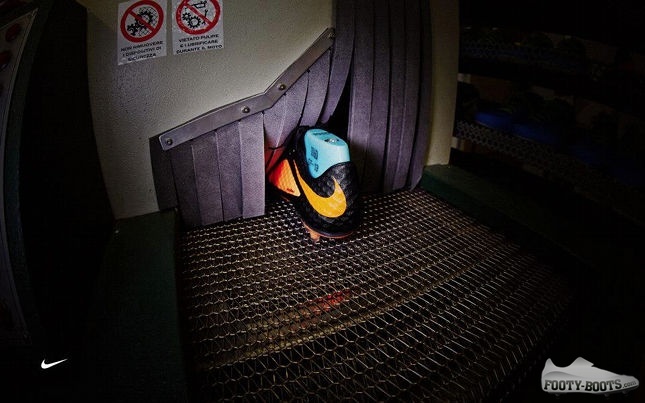 Each boot is then checked against a player’s spec-sheet, listing their size and personal customisation preferences. 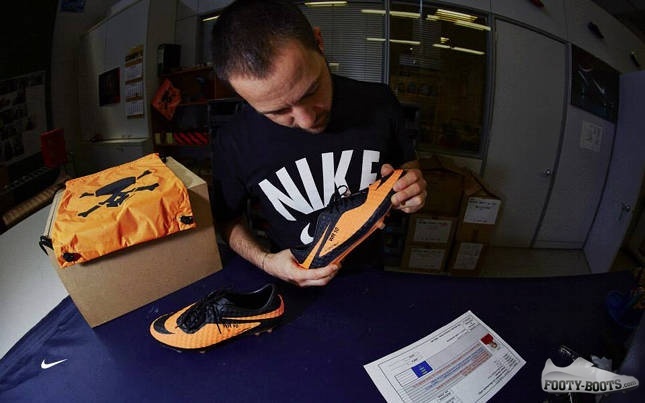 This allows the Nike master boot-makers to tweak and change little things about the boot for optimal performance. 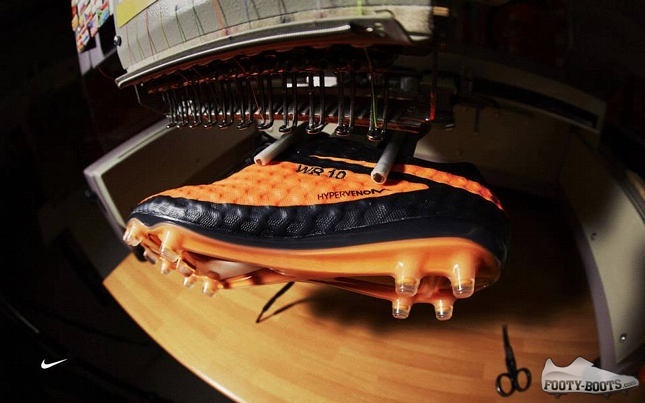 Wayne Rooney, as you’d hope, is fairly low-maintenance in the boot department, so it’s straight off to the stitching station for his Hypervenoms. Much the same as you’ll find in NikeTowns across the world, Nike stitch on Rooney’s initials and number with this machine. A quick visual check for imperfections and a cross-reference against the spec-sheet from Nike’s team in Italy make sure the striker will be able to enjoy a distraction-free break in wearing his new boots. Finally, they’re teamed with a rather striking boot bag (even pro’s love a good boot bag, apparently) and ready to be sent to the striker. We presume there’s a pair in Montebelluna with a blank delivery label on them for Rooney at the moment. 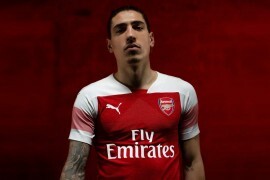 Will they be sending them to Stamford Bridge, Old Trafford or somewhere else next season?